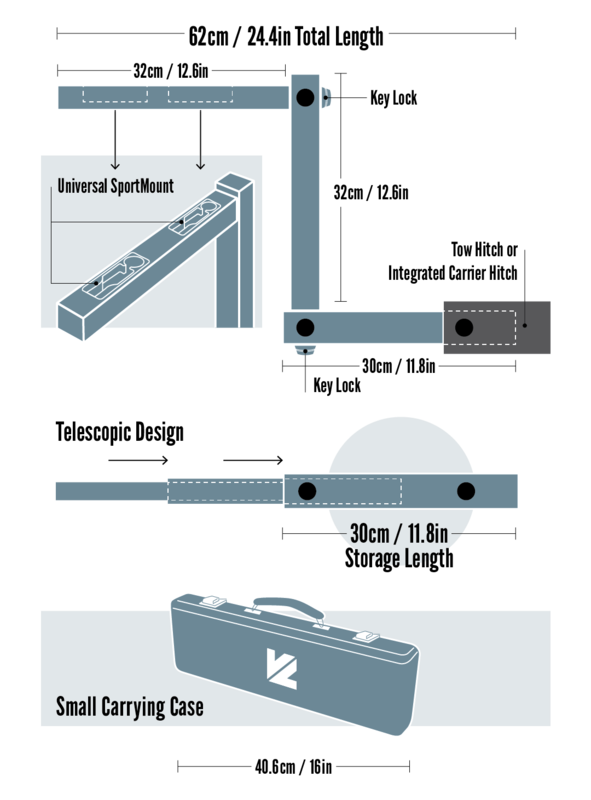 The VersaLink is a new lightweight, telescopic, modular design for efficiency and simplicity. It is a compact carrier system for all types of motor vehicles that unifies both the transport and storage of a variety of cargo. This patented disruptive technology is an innovative interface between man, machine and cargo facilitating a more seamless connection with the world via the world’s first integrated carrier system for motor vehicles. It is a new, modular platform whose universal designs and connections allow simple and easy vehicular transport and garage storage of multiple types of recreational equipment and activity pods. 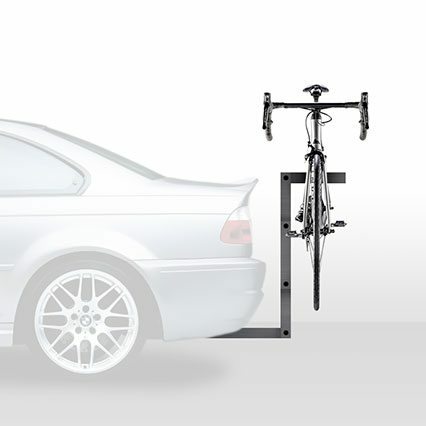 The VersaLink has been designed to fit in the most compact space possible. The individual bars can be separated and fit into a telescopic design, saving space when storing in the VersaLink Carrying Case. The bars interlock together to make one solid unit and can fit in any trunk, drawer, or even a backpack! Lightweight at 8.5lbs (62″ Long) compared to the average rack weight of 35 lbs. Telescopic design helps fit into one small-sized carrying cases. Carries up to 100lbs of cargo. Lockable key connections adds security. Easy to use. Can be engaged by anyone, anywhere, anytime. 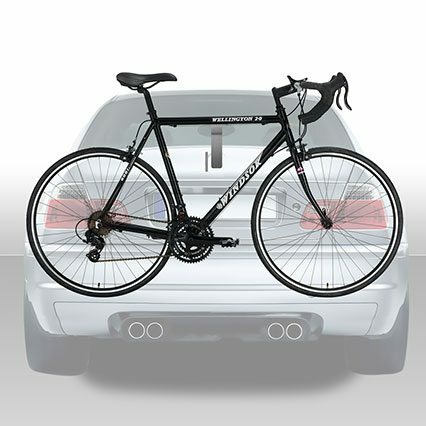 Lightweight at 5.5lbs (39″ Long) compared to the average rack weight of 35 lbs (25-55lbs). Carries up to 300lbs of cargo. 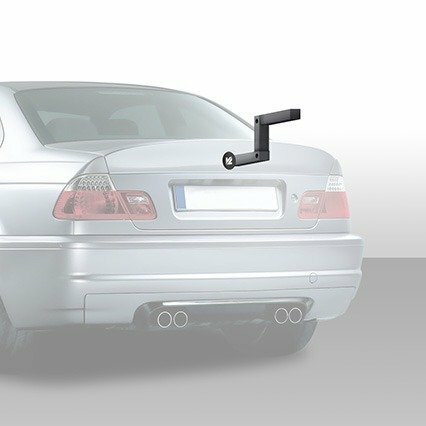 Insert the carrier bar into the tow hitch located at the rear of your car. This will be the main support of the VersaLink. The interlocking device ensures that your device will not disconnect and is completely stable. 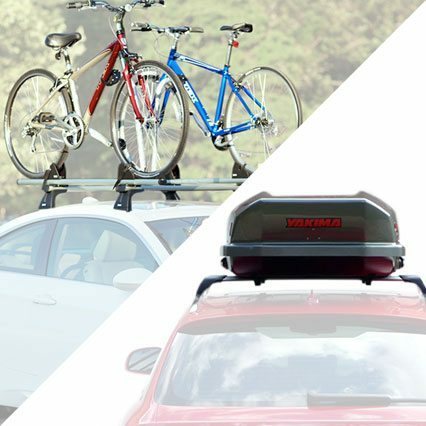 Whether you are biking, camping, golfing or skiing, you can take your larger items with you. 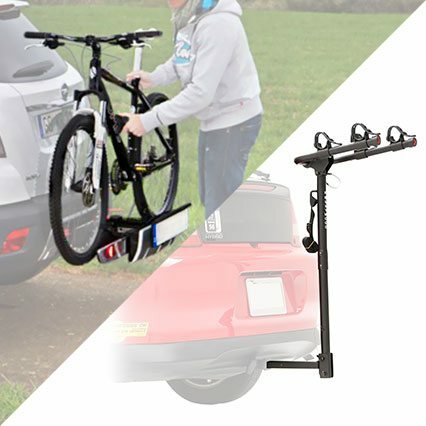 Using the customized rig system developed by VersaLink, simply place your items on the carrier. A key lock will ensure that your valuables are safe and secure. Step 3: Go on your Adventure! It's as easy as that! Go on your adventure and enjoy the great outdoors. Additional Feature: Once you have returned from your adventure, storing your equipment is just a few clicks away. 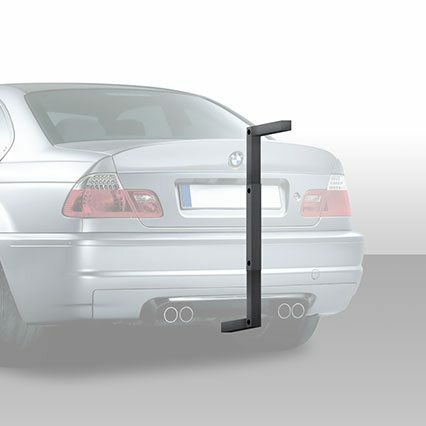 Easily move your equipment from the Transport VersaLink on your car to the Storage VersaLink on your garage wall. Insert the carrier bar into the modified, patented Disruptive Technology located behind the rear car emblem. This will be the main support of the VersaLink. The interlocking device ensures that your device will not disconnect and is completely stable. 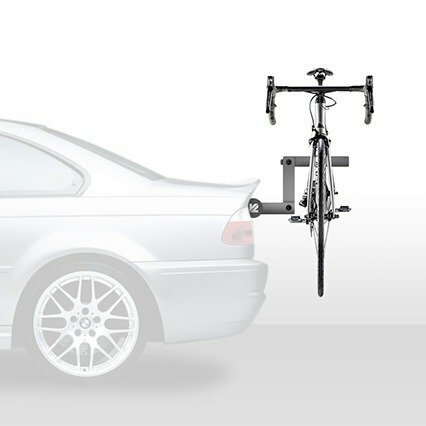 The VersaLink can be used for almost every type of recreational activity, from bike riding to camping, to snowboarding and golfing. We have every type of carrier for the adventure at hand. All items are secure, immobile and securely locked via the Universal VersaMount. The VersaLink’s primary market is for standard 2-Door, 4-Door, Sports Cars, and Electric Cars. 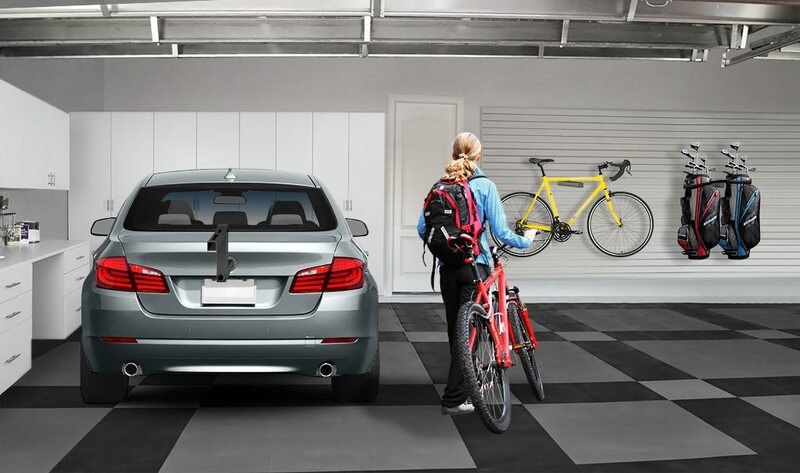 Our vision for the the VersaLink will expand into more than the standard sedan, including: vans, trucks, buses, smart cars, electric cars, sports cars, ATVs, motorcycles, golf carts… you name it! The VersaWall is organized into activity pods, allowing you to keep all necessary equipment and accessories for all of your recreational activities in one tidy area. All your equipment is ready to go, but stored in an aesthetically pleasing manner. The VersaLink System is the first of its kind. It is designed for the forthcoming paradigm shift in socialization of movement. 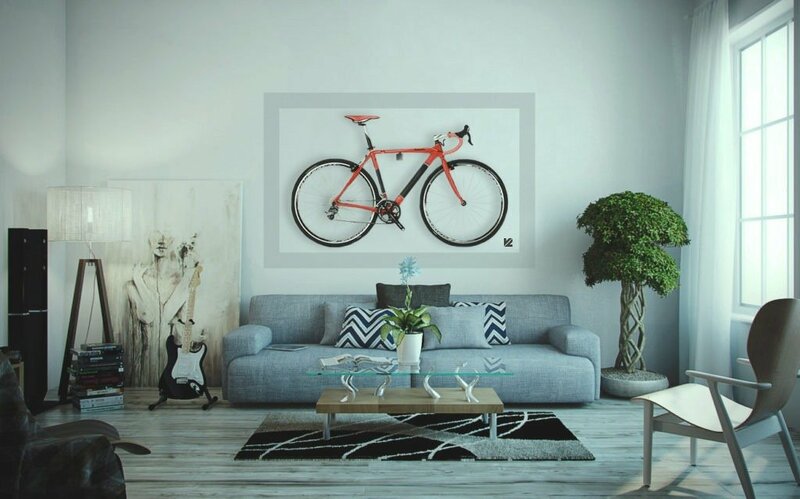 Cars and homes will be smaller. Cities will be bigger. Movement will be innovative. VersaLink and its cutting-edge, patented, universal VersaMount Technology revolutionizes and simplifies the way humans and automobiles in the future will transport and store cargo. 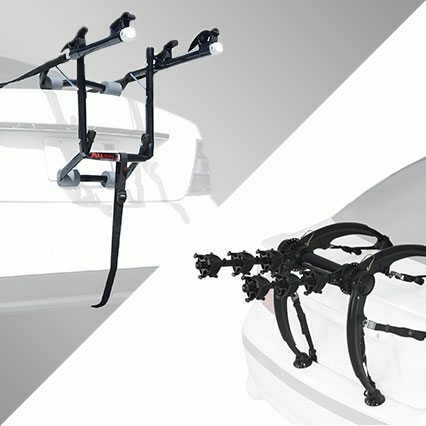 With the integrated VersaHitch and the versatility of application, VersaLink integrates one’s car, home and life. Interested in Licensing, Manufacturing or Partnering with the VersaLink?